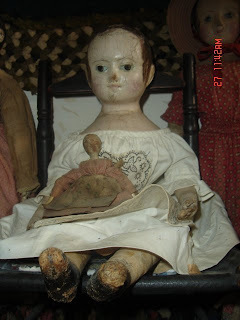 Kelly, who owns this Izannah Walker doll, sent along pictures to share here on the Izannah Walker Chronicles. 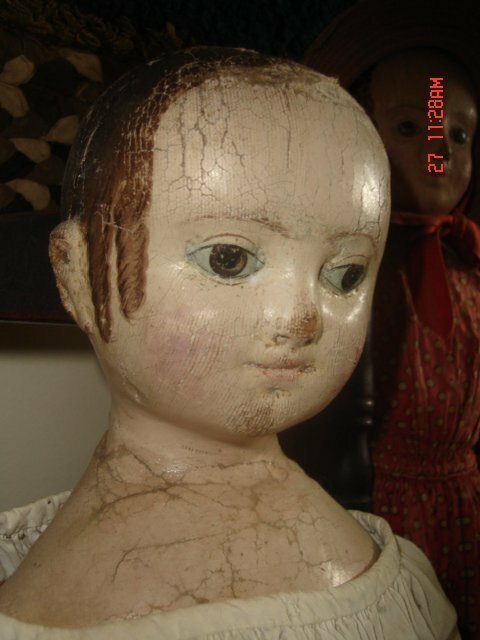 Isn't she a beautiful, wonderful doll? 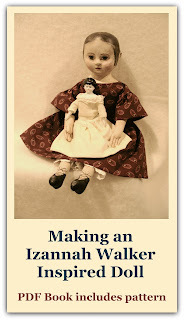 Thanks for sharing her images with all of us who love Izannah Walker dolls! Thankyou Thankyou Thankyou Kelly! 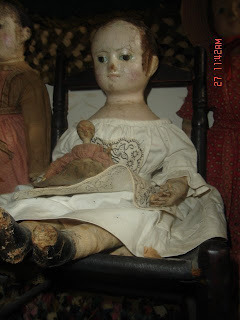 It is so nice of you to let your dolly come out to play with us! & thank you Dixie for this very special blog! This doll is absolutely gorgeous!One of the sweetest Izannah Walker doll faces I've seen!That little rag doll that she's holding is amazing too! What a sweet face! 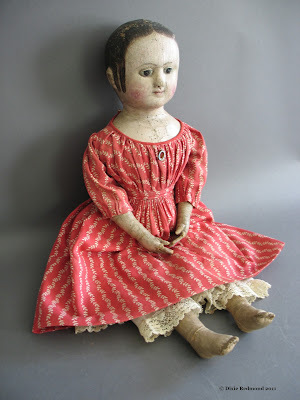 I absolutely LOVE this Izannah Walker doll! 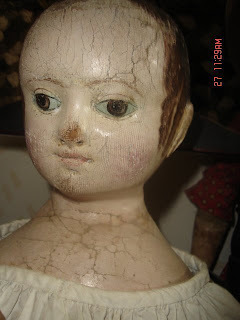 I just wanted to stop by and see the doll. My mom actually sold it a few years back to....who I assume is the current owner. I used to always wonder as a kid what it was in the old trunk in the guest room closet. 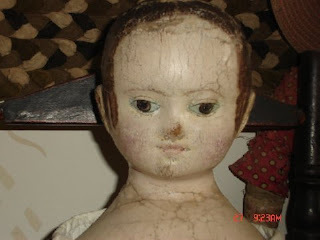 I'd forgotten all about it till my mom mentioned it the other day and showed me the magazine with the doll in it and told me the story. I'm glad to see it's out where people can enjoy it.